Want to find out more about Thor and the universe around him? Then look no further as Paramount has just released an interactive guide. Just scroll down and bit and there you are. From the deserts of New Mexico to the furthest reaches of the nine worlds of Yggdrasil, welcome to THE UNIVERSE OF THOR. This embeddable interactive guide invites you to explore the worlds and meet the characters of THOR, discovering extensive brand new footage and stills from the film in the process. See if you can unlock 100% of the contents, then post it to Facebook, Twitter or another social network and invite your friends to do the same. 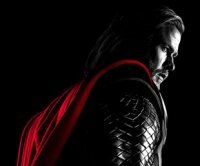 The epic adventure THOR spans the Marvel Universe from present day Earth to the mystical realm of Asgard. At the center of the story is The Mighty Thor, a powerful but arrogant warrior whose reckless actions reignite an ancient war. As a result, Thor is banished to Earth where he is forced to live among humans. When the most dangerous villain of his world sends its darkest forces to invade Earth, Thor learns what it takes to be a true hero. Harry Potter - The trailer has landed! Who’s up for a close encounter?